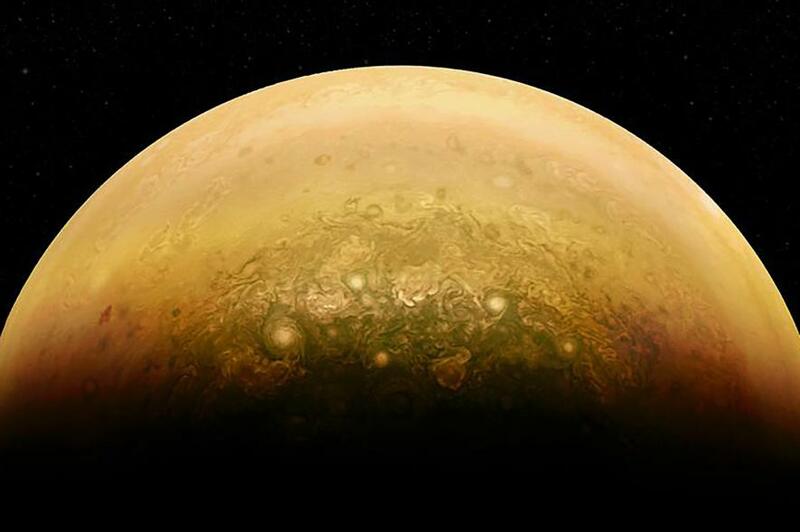 Results from the Juno mission, published in Science and Geophysical Research Letters show us that the planet doesn’t work the way scientists thought it would. NASA’s Juno spacecraft got us closer to the giant planet than ever before when it entered Jupiter’s orbit on July 4, 2016. 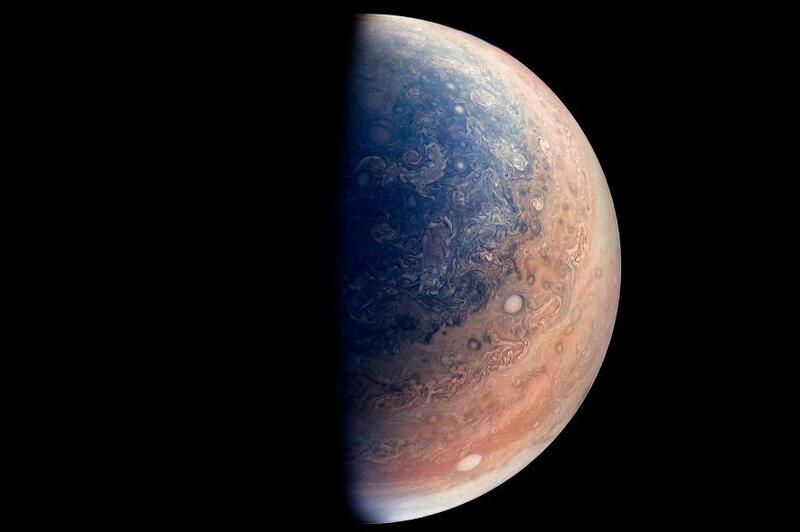 “I think everyone expected we would learn a lot, but I don’t think any of the science team expected that every aspect of Jupiter would hold these profound surprises,” says Scott Bolton, principal investigator for the Juno mission. 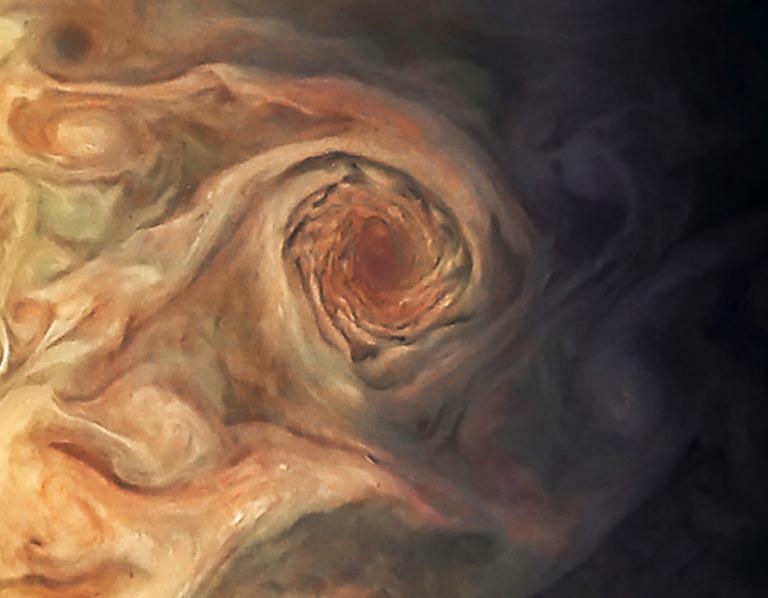 Juno also caught a glimpse of the powerful auroras that glow near the poles, which are curiously devoid of cloudy bands and are instead roiling, pastel-colored messes of storms and spirals that look very different from each other. Taken by NASA’s Juno spacecraft, this image highlights a swirling storm just south of one of the white oval cyclones on Jupiter. This enhanced color view of Jupiter’s south pole was created by citizen scientist Gabriel Fiset using data from NASA’s Juno spacecraft. 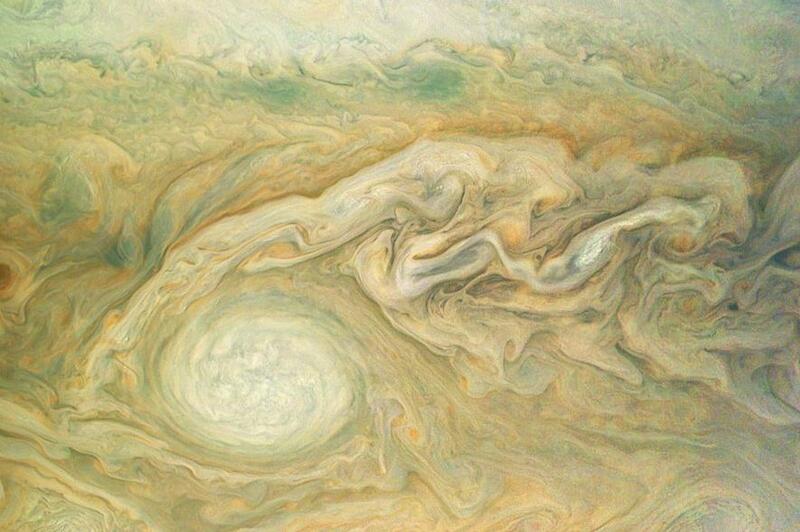 This view of Jupiter, taken by NASA’s Juno spacecraft, highlights one of its swirling storm systems. 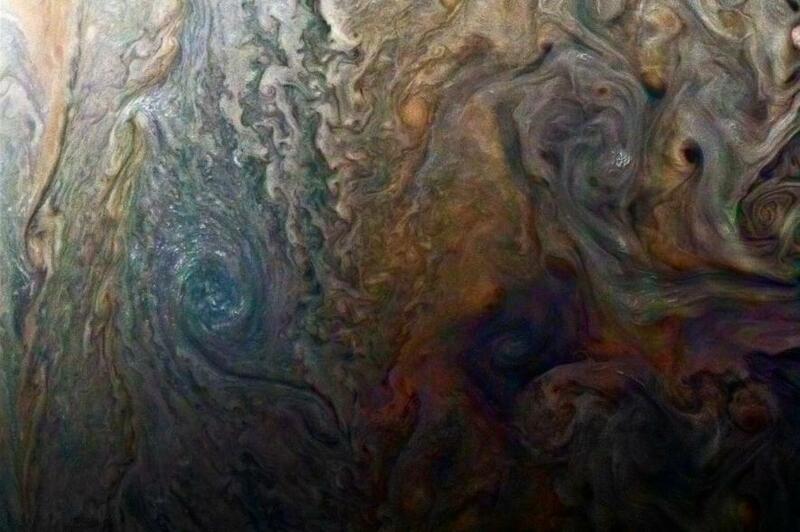 Team members from NASA’s Juno mission invited the public to process raw Juno images and post their results, like this one submitted by user Eric Jorgensen. The sunlit part of Jupiter and its swirling atmosphere shine in this Juno image processed by citizen scientist Alex Mai. Juno’s raw images are available online for the public to peruse and process. 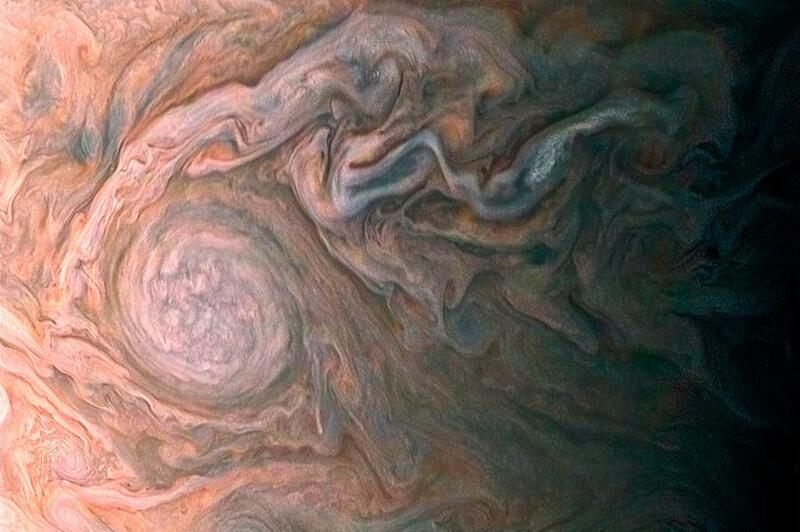 NASA’s Juno spacecraft skimmed the upper wisps of Jupiter’s atmosphere when it this image on February 2, 2017, from about 9,000 miles above the giant planet’s swirling cloud tops. 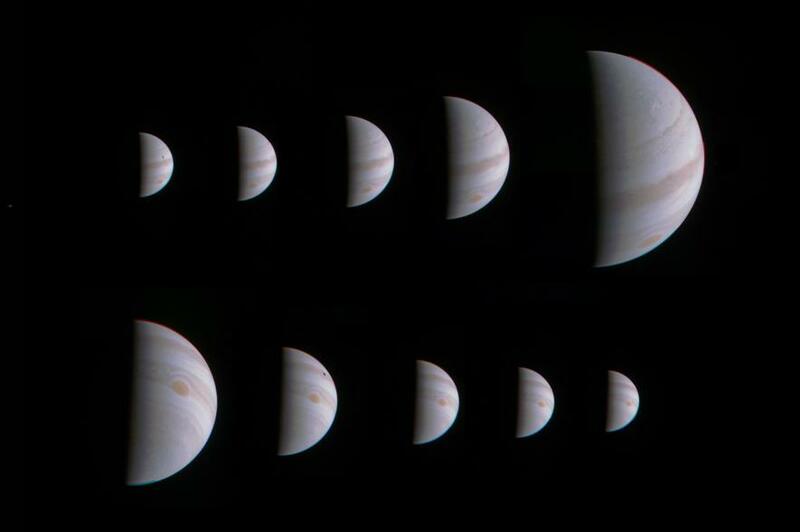 A montage of 10 images shows Jupiter growing and shrinking in apparent size before and after NASA’s Juno spacecraft made its closest approach on August 27, 2016. 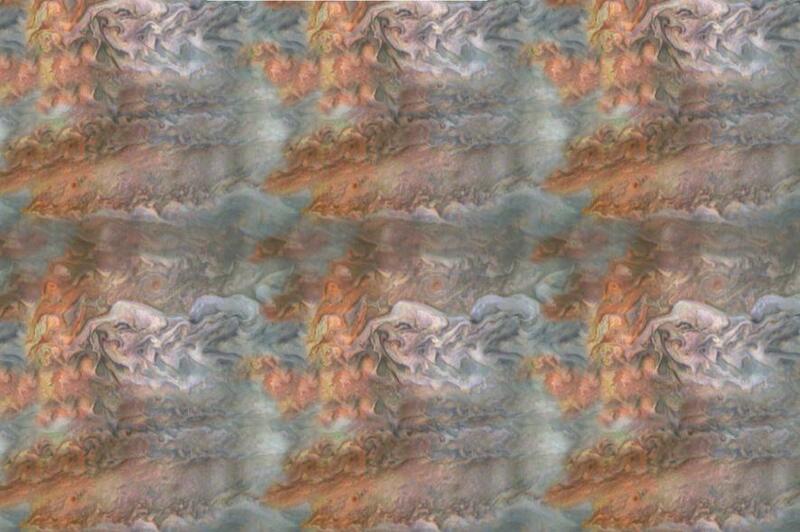 This enhanced-color image of a mysterious dark spot on Jupiter seems to reveal a Jovian “galaxy” of swirling storms. Anonymous: Is NASA Really Going To Announce The Existence of Extraterestrial Life?